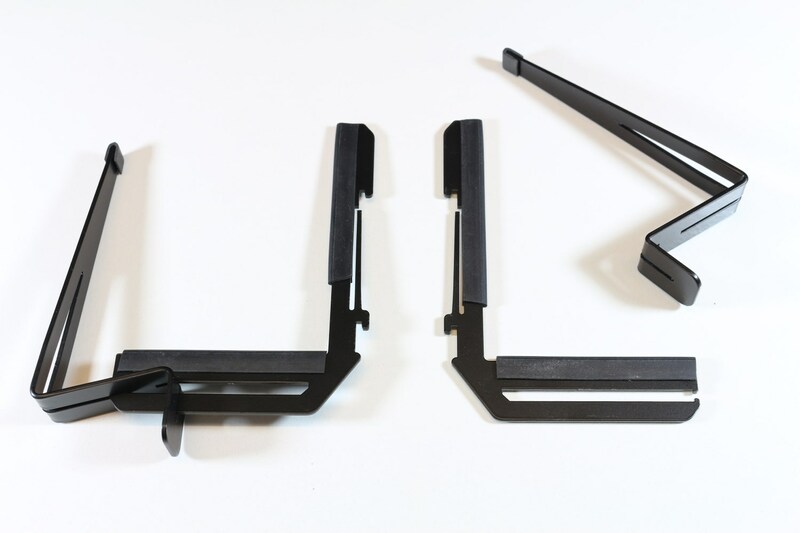 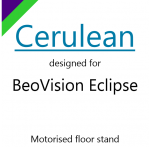 Cerulean is designed to attach to the motorised floor stand that supports the BeoVision Eclipse television (not compatible with table stand or wall mount); it then secures peripheral devices behind the television leaving a clean and uncluttered look. 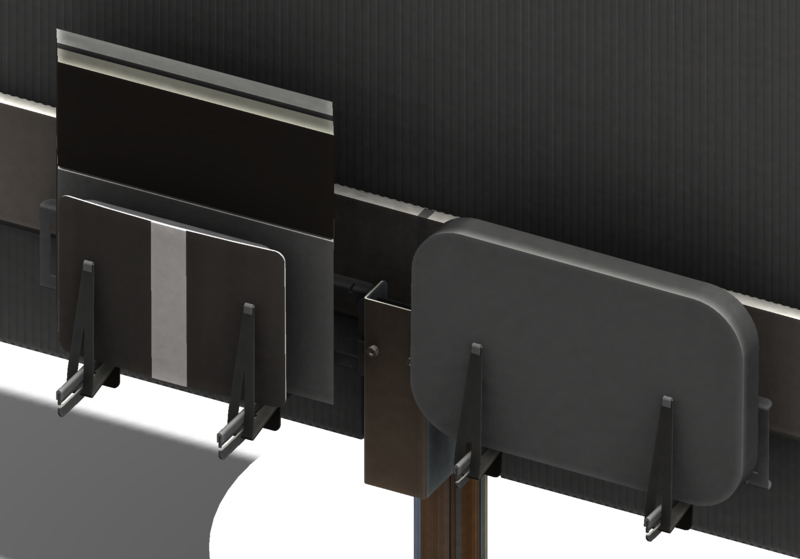 This is achieved with minimum fuss, only needing 2 screws to attach Cerulean clamp to the stand and 1 screw to hold the frame in place. 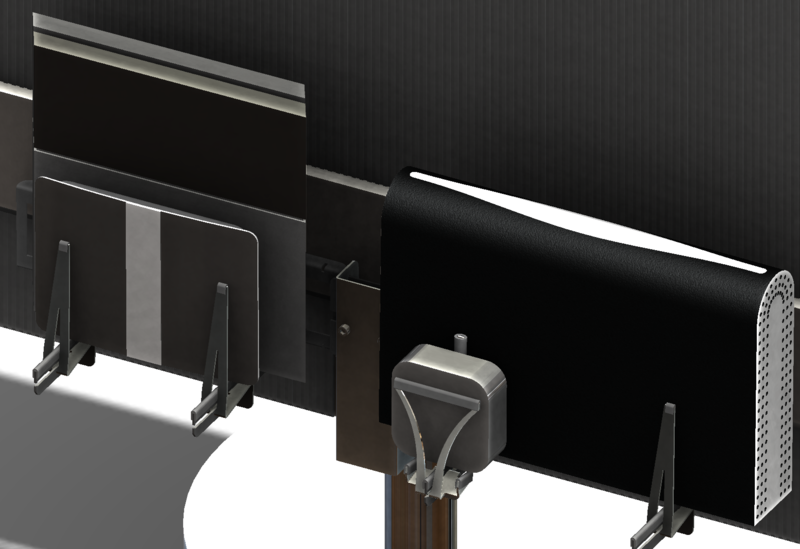 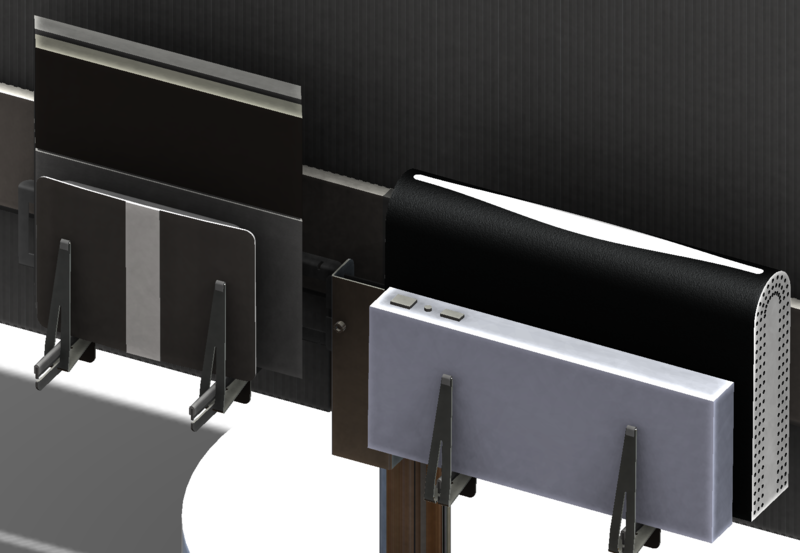 Cerulean plus includes an additional frame that allows for more peripheral devices to be secured behind the television. 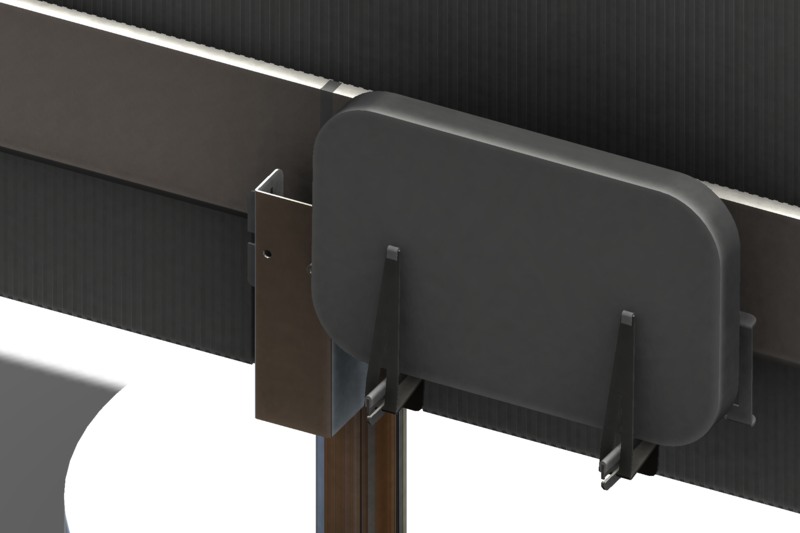 The additional frame is also available to purchase separately, so it is easy to upgrade an already installed Cerulean to an Cerulean plus.